The filling is a Cuban picadillo, that’s super easy to make. 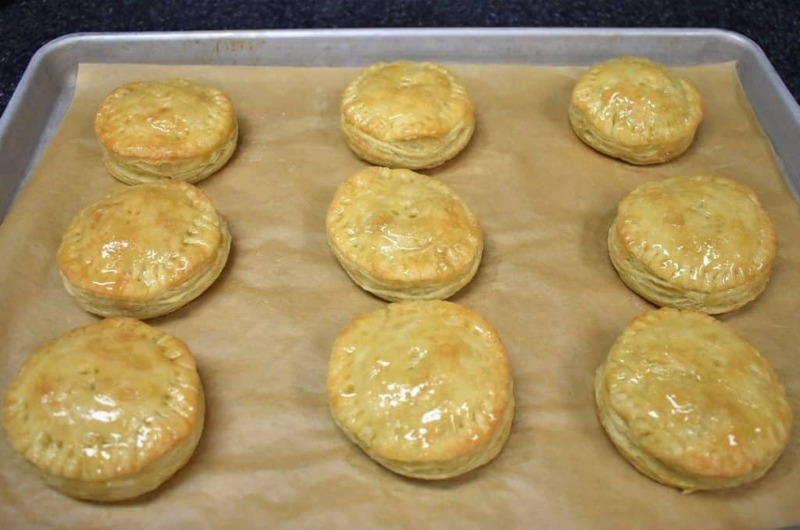 For the pastry we take some help from the market by purchasing puff pastry; and that sweet glaze is honey. See super simple! If you’re from Miami and moved away, but still get cravings for a pastelito de carne with a cafecito, then make your own! If you’ve never had a pastelito de carne… then you must try one! If you’re in the mood for even more Cuban classics, try this chicken fricassee, breaded chicken steak or the classic bistec de palomilla. Enjoy! Heat the olive oil in a large, deep skillet over medium heat. Add the onions, carrots and celery. Cook 3-4 minutes until the onions are translucent, stirring frequently. Add the garlic, stir to mix well. Raise the heat to high, add the ground beef, salt, cumin, oregano and black pepper, stir to mix well. Cook the beef while stirring and breaking it up with a wooden spoon or spatula. Cook 4-5 minutes to brown the ground beef. Next, add the white wine to the skillet and cook for 2 minutes or so until the liquid evaporates, stirring occasionally. Add the tomato sauce and chopped olives, to the picadillo, stir to combine. 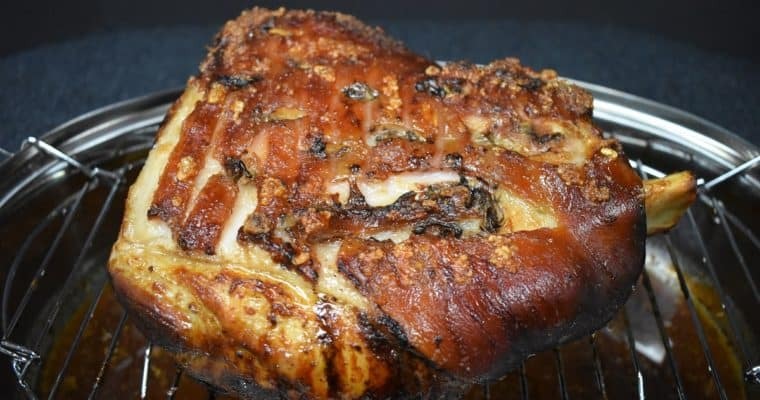 Lower the heat to medium-low, cover and cook for approximately 15-20 minutes to allow the flavors to develop and combine, stirring occasionally. Allow the picadillo to cool completely before using, refrigerate if necessary. Usually, picadillo is left a little bit saucy since it’s meant to be served over rice. 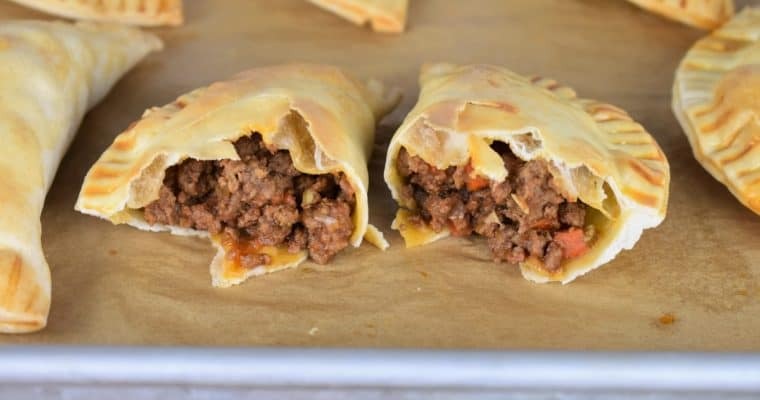 For the pastelitos, though we want the picadillo a little on the dry side. 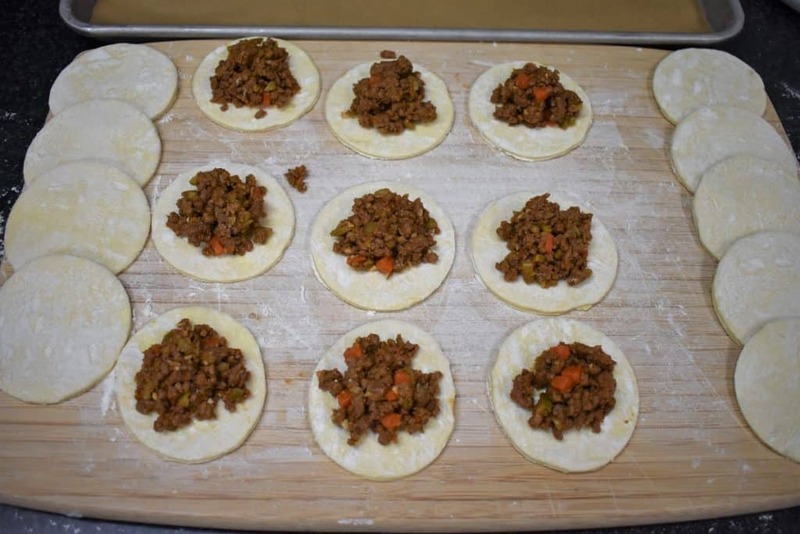 Just a tip, I’ve made the picadillo a day ahead and refrigerated until ready to make the pastelitos de carne. This actually works well if you’re making them for a party. Add a little cold water to a small bowl. 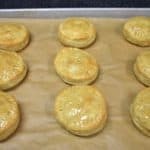 Use a biscuit cutter to make small rounds. 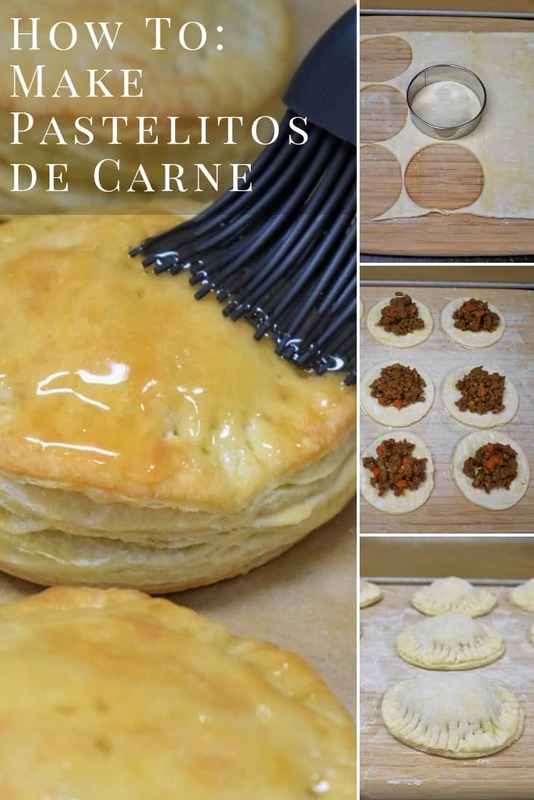 Add a heaping tablespoon of the picadillo to the center of half the puff pastry rounds. Use the remaining half to top the pastries. 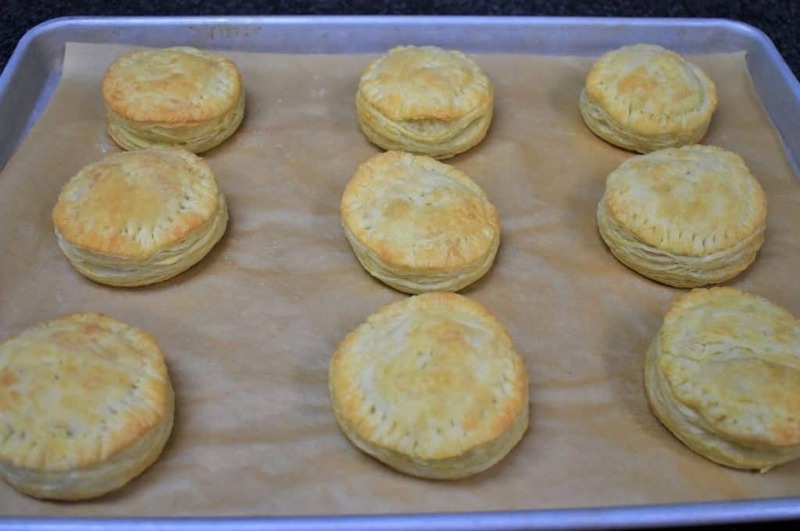 Using your finger, wet the edge of the pastry round with the water. 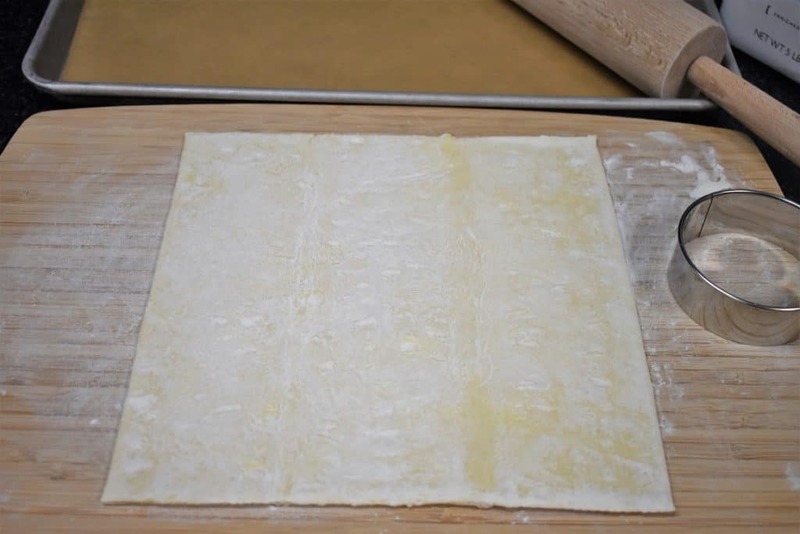 Cover with another pastry round and press down on the edges with a fork to seal. 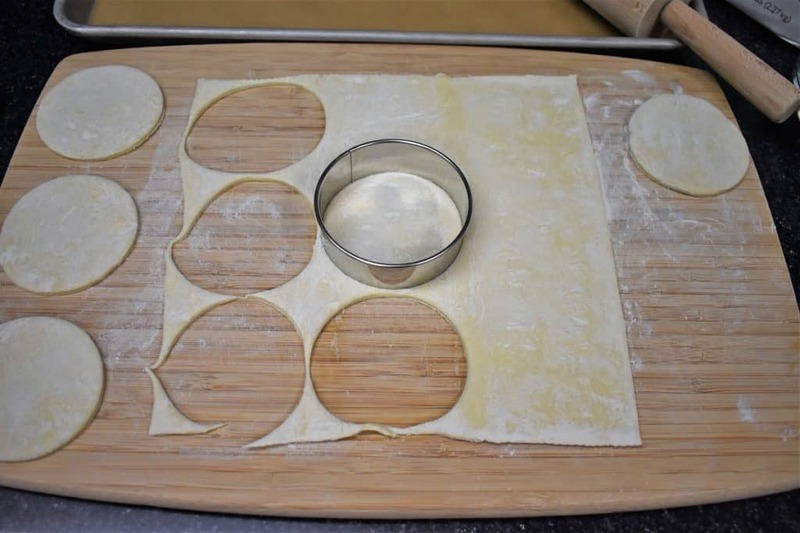 Set the pastelitos on a baking sheet lined with parchment paper and cut a small slit on top of each pastelitos to allow it to vent. 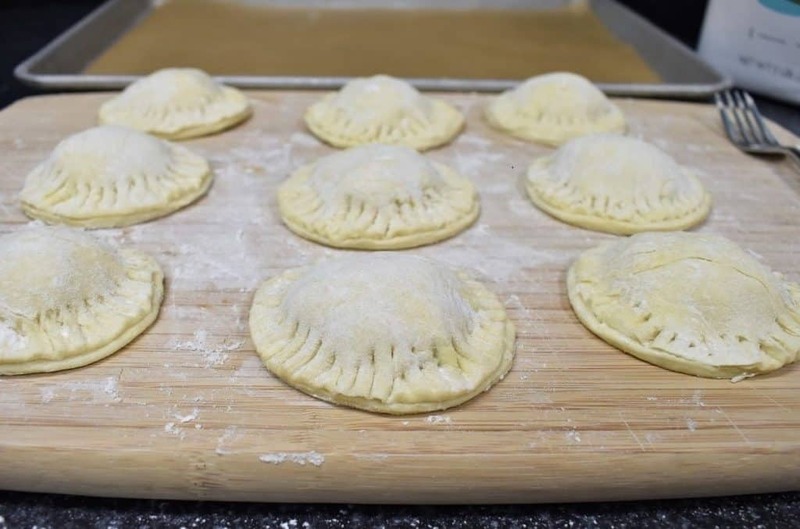 Bake the pastelitos de carne for 10 minutes, rotate the baking sheets (top to bottom, bottom to top) continue baking for 8-10 more minutes, or until the pastries are a beautiful golden brown color. Add a tablespoon or two of honey in a small bowl. 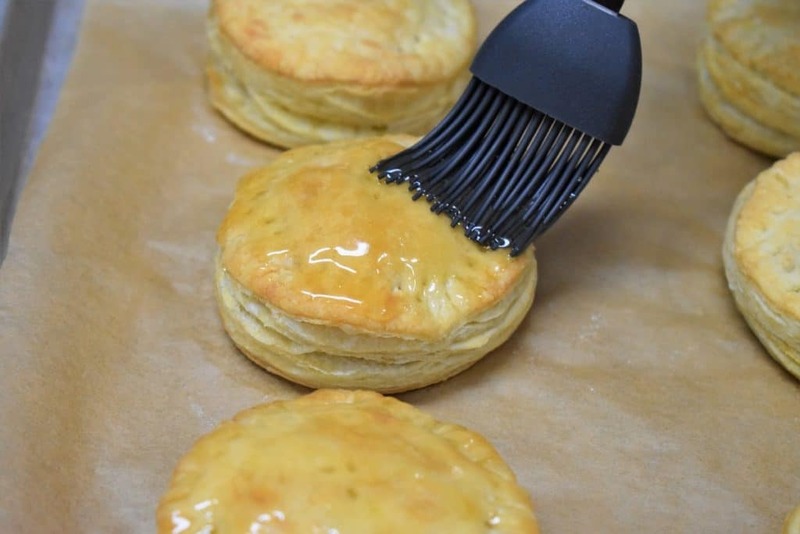 While the pastelitos are still hot, brush the tops lightly with the honey. 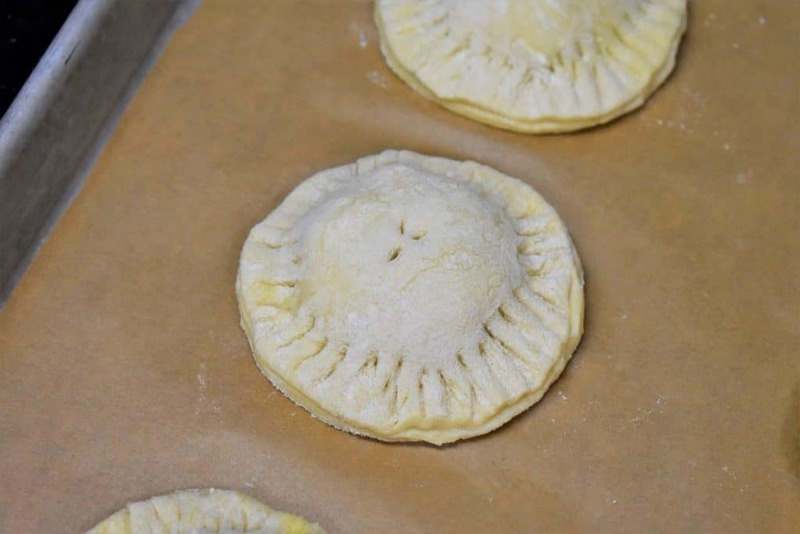 Work quickly as brushing with the honey will be much easier with hot pastelitos. Save any leftover picadillo, refrigerate or freeze. Picadillo is great over rice, or in a sandwich (similar to a sloppy joe). 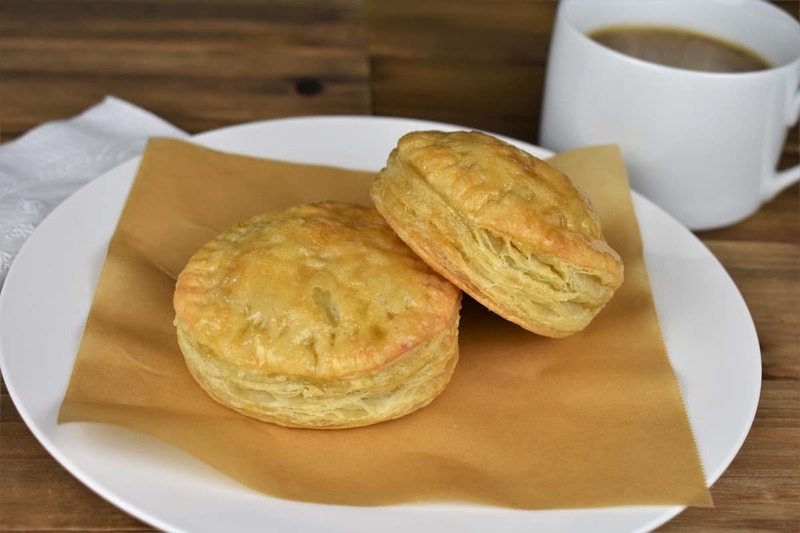 Pastelitos de carne are meat filled pastries that are topped with a sweet glaze. They can be found in Cuban cafeterias and restaurants all over Miami. Heat the olive oil in a large, deep skillet over medium heat. Add the onions, carrots and celery. Cook 3-4 minutes until the onions are translucent, stirring frequently. Add the garlic, stir to mix well. Raise the heat to high, add the ground beef, salt, cumin, oregano and black pepper, stir to mix well. Cook the beef while stirring and breaking it up with a wooden spoon or spatula. Cook 4-5 minutes to brown the ground beef.